Labour and the Caucus provides a new, innovative pre-history of the Labour party. In the two decades following the Second Reform Act there was a sustained and concerted campaign for working-class parliamentary representation from a range of labour organisations to an extent that was hitherto unseen in British political history. The franchise revolution of 1867 and the controversial introduction of more sophisticated forms of electoral machinery, which became known as the ‘caucus’, raised serious questions not only for a labour movement seeking to secure political representation but also for a Liberal party that had to respond to the pressures of mass politics. 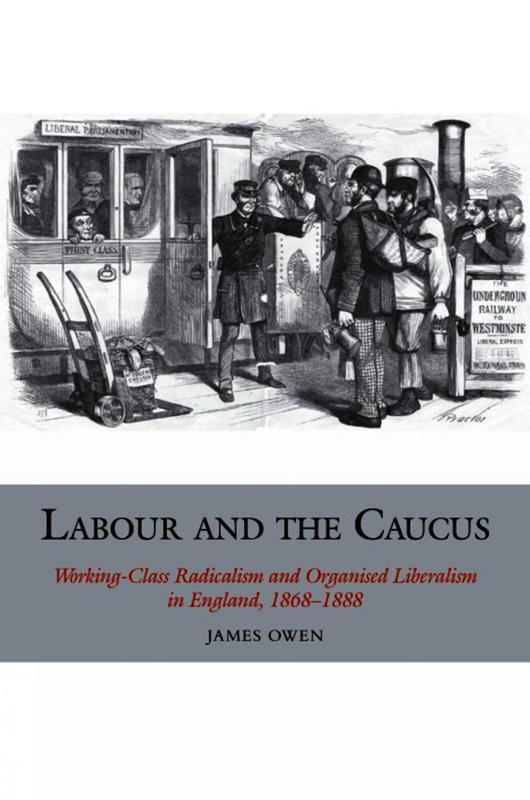 Through a close examination of the interactions between labour and the ‘caucus’ from the 1868 general election to Keir Hardie’s independent labour candidature in 1888, this book provides a comprehensive and multi-layered picture of the troubled relationship between working-class radicals and organised Liberalism. The electoral strategy of labour candidates, the links between urban and rural radicalism, the impact of the National Liberal Federation, the influence of American and Irish politics on the labour movement, the revival of socialism, and the contested identity of a ‘Labour party’ are all examined from fresh perspectives. In doing so, this book challenges the existing teleological assumptions about the rise of independent labour, and explores the questions that remain about how working-class radicals and Liberals shared and negotiated power, and how this relationship changed over time. A multi-layered approach to understanding the relationship between the labour movement and the Liberals, examining national and local issues, urban and rural activism, and the impact of American and Irish politics. The book concentrates on labour politics in the third quarter of the nineteenth century, a period which remains neglected by the existing literature. The book sheds fresh light on the contested identity of the ‘Labour party’ in this period, and the wider issues concerning the construction of a new political party. The book challenges current orthodoxies concerning the confluence of labour activists and Liberals in this period. Dr James Owen is a Research Fellow on the History of Parliament, House of Commons, 1832–1945 project.